It’s been over 10 years since Celine Dion was on tour, and she just announced that she’s coming back with a vengeance. She just released her tour plans for the rest of the 2019 year, and the first quarter of the upcoming 2020 year. 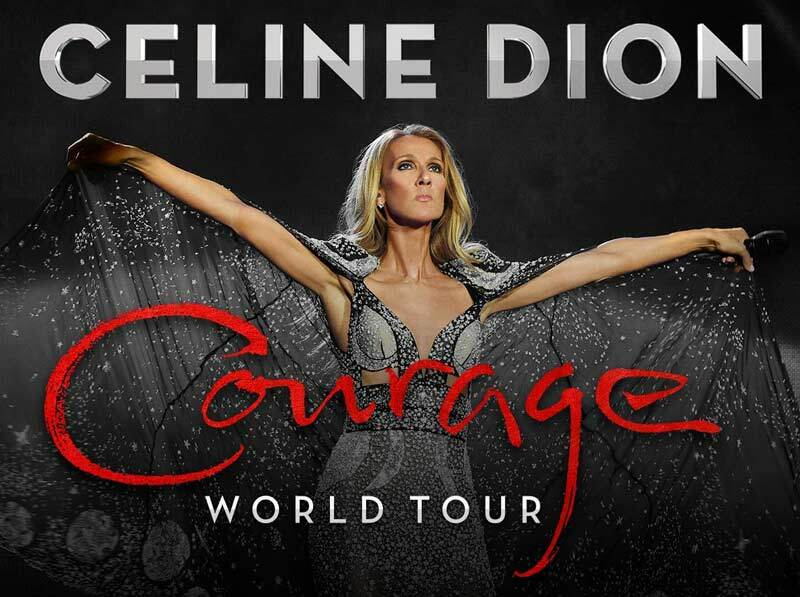 Her ‘Courage World Tour‘ will have Celine Dion first making her way across North America first, including stops in Canada, and then onto the rest of the globe. As of the writing of this, only her North American dates have been released and they being just after her stay in Las Vegas is over for the year. Beginning September 18th at the venue Videotron Centre in Quebec City, the trek will take Celine Dion to such cities as Quebec, Montreal, Ottawa, Cleveland, Columbus, Louisville (Kentucky), Cincinnati, Saint Louis, Kansas City, Fargo, Minneapolis, Milwaukee, Detroit, Chicago, Indianapolis, Buffalo (New York), Albany, Toronto, Noston, Jacksonville, Atlanta, Nashville, Tampa, Miami, Charlotte, San Antonio, Houston, Dallas, Tulsa, New Orleans, Memphis, Raleigh, Atlantic City, Baltimore, Philadelphia, Brooklyn, Uniondale, Newark, Washington DC, Pittsburgh, Denver, Salt Lake City, Glendale, Los Angeles, San Francisco, Portland, Tacoma, Vancouver, Edmonton, Saskatoon, Winnipeg, and more. Tickets for most of the venues will go on sale to the general public on April 12th, and there will be VIP Packages available. Keep an eye out for multiple pre-sales, as they will allow you to purchase tickets before they go onsale to the public. If you belong to her fan club, you will be able to purchase tickets beginning April 8th. From past experience, we can tell you that tickets will not be cheap. If you get a chance to grab tickets at a decent price, we suggest grabbing them as soon as you can. For the full list of Celine Dion tour dates, check further down on this page. You’ll also find links to look for tickets, plus some fan favorite music videos of the pop diva. Celine Dion releases her tour plans for the 2019 and 2020 years. Her Courage World Tour is quite large and should be hitting up a venue near you. Don’t forget to check this list regularly as Celine Dion may add dates to her tour without much notice to the public.